Strong communication skills are vital in almost every job application, but it’s not always easy to know which skills you need to include. Our guide will help you solve both those problems, so read on! Employers are on the lookout for candidates with effective communication skills. Job seekers who can convey ideas through writing or interacting with their teammates can expect to impress hiring managers and land the job of their dreams. 1. What Are Communication Skills? Communication skills are abilities that allow you to clearly and effectively convey ideas. They’re usually soft skills, but there are also some hard communication skills such as public speaking. If you doubt the value of communication skills, know that they’re in high demand. As many as 93 percent of employers say they’re a critical element in all hiring decisions. Individuals with strong communication skills are often able to explain complex concepts in ways everyone can understand, translating technical speak into something appropriate for general business partners or even customers. They’re generally a requirement for any job that involves interaction with the public, and most companies want people who can communicate well, even if they’re only interacting with other members of the team. Leadership communication skills are also important if you aspire to move up in an organization because employers look for these when making promotion short lists. Crafting a clear sentence isn’t something everyone can do consistently, so let employers know you have writing chops. List writing accomplishments on your resume and ensure every sentence in your cover letter highlights your skill. Verbal skills are important when working with other people, presenting information, or speaking on the phone. Let employers know you can get the point across when talking to others, regardless of the situation. Technical communication skills are a must if you talk regularly with tech departments or work in IT, but they’re also vital in industries that require specialized skill sets such as health care or manufacturing. 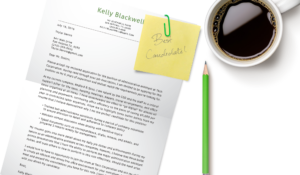 Use your resume to demonstrate that you can clearly communicate about highly technical topics to a variety of audiences. If you can communicate in a way to inspire others, you’re more likely to be tapped for leadership positions in the future. Show off your leadership communication capabilities by including relevant team-leading experiences on your resume. Marketing calls for a specific set of communication tools. If you can talk or write about a product or service in a way that makes people want to buy it, you’ll be a valuable team member! Don’t forget to also include your more technical marketing skills as well! Talking about data without making it boring or indecipherable is a serious skill, and employers look for this strength when hiring anyone who needs to turn data into decisions. List certifications and skills you have in this area, such as statistical process control or Six Sigma. Decks and slide shows remain a constant in the business and marketing spheres. List presentation software you’ve mastered on your resume and link to portfolio work if possible to show off your ability to communicate in slide format. Not everyone with great verbal communication skills can wow a crowd, so include your public speaking skills on your resume if you have them. Provide a list of successful speaking engagements to back up your claims when possible. Customer service and sales organizations communicate over the web, so if you’re an experienced CSR with chat capabilities, show it off on your resume. Keeping up with multiple chat windows without confusing customers is definitely a specialist skill. The phone is still an important tool, especially for front office, sales, administrative and customer service staff. Let employers know that you know how to work high-end phone equipment and that you’re able to communicate clearly over the phone. If you really want to impress a potential employer with your command of communication, then quantify and qualify. What does that mean? Provide proof to back up your claims: If you’re a computer programmer, then provide a list of the coding languages you know and your proficiency in them, along with links to examples of your work. Communication expertise is sometimes difficult to express directly, so you have to put some real work into both your resume and writing your cover letter to prove it. After all, these are two prime examples of communication skills in action, so you can’t list communication as a strength on your resume if your resume and cover letter aren’t written well! You still need to make sure to back up anything you claim throughout the rest of your resume. You can utilize the Skills section of your resume to list communication skills. But you still need to make sure to back up anything you claim throughout the rest of your resume. Use action verbs and narrative language to provide information about how you put your communication skills to work to solve a problem or achieve a result. Perhaps you created a presentation or wrote a sales email that had a high conversion rate. You might have used your verbal and leadership communication skills to bring disparate teams together for a common goal. If you’re applying to a position where communication isn’t just important but is a hard prerequisite, make sure you highlight your skills in your cover letter. Choose your best communication-based accomplishment and devote a sentence or two to it, but don’t forget to follow other cover letter best practices when doing so. No matter what is required for the application process—a resume, cover letter, video, or other media—take time to ensure your communication skills show up throughout. Make sure every sentence is clear and makes the point you want it to, and proofread your work so a silly typo doesn’t make employers question your ability to communicate. Communication skills are important for every applicant, but how much you emphasize them depends on your industry and the position. Always include skills that are relevant, and back them up with the details included in your resume and cover letter. Learn more about how to wow employers with your experience and knowledge by checking out our comprehensive guide to skills for resumes.